We care about our people and, as such, SDS has a strong commitment to workplace health and safety. Becoming a part of the SDS team also means working to create a safe, accident-free workplace. Southern Districts Support is committed to maintaining the highest possible standards and actively pursuing improvements to minimise risk, maximise quality and reduce all safety incidents in the workplace. Our management systems have been designed and implemented with this commitment in mind. Southern Districts Support is ‘best practice’ certified, which provides official recognition to the practices of the organisation’s management systems. Southern Districts Support Quality Management Systems (QMS) provides the framework for everything the organisation does by documenting our commitments, guidelines and processes, and ensuring our commitment to best practice. 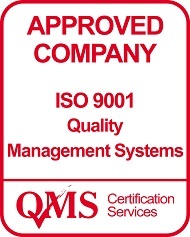 Southern Districts Support QMS is certified to ISO 9001:2009 standards. Southern Districts Support values and promotes the safety of employees, sub-contractors and the people we serve. We are committed to minimising risk in the workplace and believe all safety incidents are preventable. SDS Occupational Health and Safety Management System (OHSMS) is based on the National Standards for Safety.